South Korea and Israel signed an agreement on Jan, 17 in Seoul to pave the way for South Korea to participate in EUREKA, a joint European R&D project. The two countries also agreed to raise funds of US$9 million over the next three years as a part of efforts to strengthen cooperation in research and development (R&D) in the private sector. The bilateral accord to that effect was signed at the end of a meeting between Commerce, Industry and Energy Minister Lee Hee-beom and his Israeli counterpart Ehud Olmert. Olmert is concurrently Israel's deputy prime minister. Israeli Embassy will hold a seminar on promoting Israeli-Korean IT businesses at the Grand Hyatt Hotel on Jan. 18, 2005 on the occasion of Israeli Vice Prime Minister Ehud Olmert's visit to Seoul. 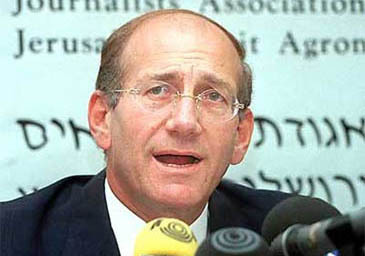 Vice Premiere Olmert, who is concurrently minister of Israeli Industry, Trade, and Labor and about 50-member business delegations will arrive in Seoul on Jan. 16, 2005 for a four-day stay. The vice prime minister and the delegates will participate in the seminar titled "Korea-Israel Telecommunications & IT Forum 2005," which will be held at 10 a.m. at the Tulip & Lotus Room on the hotel's second floor. The seminar includes a luncheon during which Israeli business delegates will have one-on-one meeting with South Korean businessmen. Right before luncheon the Vice Prime Minister Olmert will meet with Dr. Chin Dae-Je, South Korean minister of information and communication and will discuss ways to increasing exchanges in telecommunications fields of the two countries, according to Ms. Yang Jin-Young, commercial officer of Israeli Embassy. She is an IT specialist of the embassy. Ms. Yang said that the two ministers will also be present in the signing ceremony in which Chairman Park Seong-Chan of the newly-formed KIBA (Korean Contents Industry and Business Association) will sign a MOU on business cooperation with Dr. Shuki Gleitman, representative of the Israeli Mobile Association. Vice Premiere Olmert will deliver a congratulatory address at the seminar whereas welcoming remarks will be made by Mr. Cho Sung-Kap, chairman of the International Cooperation Agency for Korean IT (ICA), co-organizer of the seminar. Dr. Paul Chang, ICA managing director and head of ICA's Global Strategy Team, will make a presentation: "Overview of Korean IT Industry." From the Israeli side, Mr. Yair Ofek, deputy director general of the Israeli telecommunications ministry's High Tech Division will deliver his presentation on the Israeli IT and telecommunications industries. 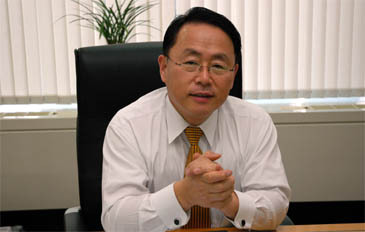 Chairman Cho Sung-Kap of International Cooperation Agency for Korean IT (ICA) poses for a camera at his office in Seoul. Other presentations by business sectors include "Israeli Success Story in Korea" by an Emblaze official, and "Korean Success Story in Israel" by a SK Telecom executive. SK Telecom, KTF, KT, Intro Mobile, and some 50 other IT-related companies are expected to join the seminar, according to Mr. Lee Hyuk, director of ICA Global Strategy Team. 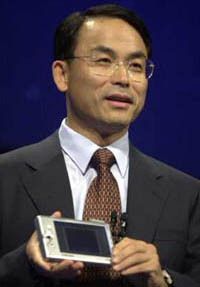 In a telephone interview with The Seoul Times Jan. 13, 2005, Director Lee said that the objectives of the seminar are to promote R&D in IT and the telecommunications field of both countries. The seminar is also aimed at exploring chances for both Israeli and South Korean businesses to jointly advance into the overseas market. "In particular, Israeli companies are trying to tap the South Korean market and this seminar will help them realize their objectives," said Director Lee. 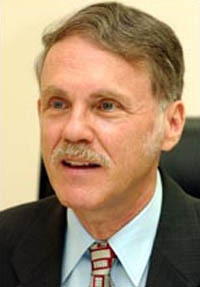 "They are also seeking opportunities to develop technologies jointly with South Korean partners."